Any book set in France is my jam. Why? I am obsessed with all things French. I just am. 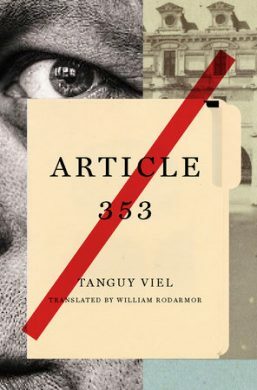 So, when I was provided with the opportunity to read Tanguy Viel's latest novel, Article 353, I jumped at the chance. How could I not, right? Especially, since it was being touted as a crime novel written in the noir style - talk about book bliss! So, imagine my joy when the book arrived - woo hoo! 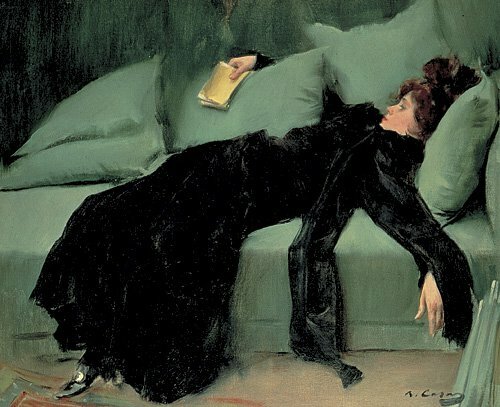 I grabbed a huge cuppa, a comfy corner on the couch and settled in for the afternoon with my copy. And let me just say - what a story! I absolutely LOVED it!! This is the story of Kermeur, a man who has committed murder. He is brought before a judge to explain himself - why did he kill Antoine Lazenec? And so, we sit in on this conversation as Kermeur tries to explain what brought him to such a place - what caused him to throw Lazenec overboard? We learn about the small town Kermeur is from, along with the story of his family and how it fell apart. We learn about Lazenec and his grand plans for the small town. We learn about a man who felt so lost and alone, he felt he had nothing left to lose. He reacted by throwing Lazenec overboard, which led to Lazenec drowning. Slow-going and character-driven, this story is a quiet one. It is subtle, smart, and thought-provoking. I found myself captivated by Kermeur's story and his interaction with the judge was fascinating to read. Questions about right and wrong abounded - this was a novel that made you think and I loved every minute I spent with it. These slow-burn stories are quickly becoming my favorite - they feel like a wolf in sheep's clothing. They lull you in and then slam you with the simple way they get you to question everything. Talk about a great read! I would happily recommend Article 353 to fans of Viel and anyone looking for their next great read - you will LOVE this book!! I love a French setting but might need more story than this book provides. Lark, they are the best! LOL! Kathy, me too! I can understand that. It is very slow burn and not much action. But it is very thought-provoking, which I found to be fascinating.